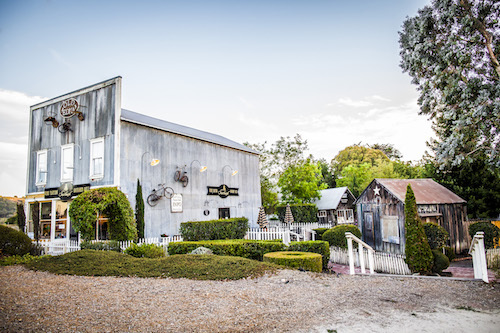 After operating Sextant Wines in Old Edna for a decade, Nancy and Craig Stoller have purchased the Old Edna Township in the heart of the Edna Valley. The oldest township in the county is ready for another chapter in its long and storied history. San Luis Obispo, CA (January 29, 2019) – Sextant Wines first arrived in Edna Valley in 2009 when it moved from it’s previous location on Higuera Street. Since their arrival, proprietors Nancy and Craig Stoller dreamed about the day they might be able to own this historic townsite and permanently call it home. Now, the Stollers dream has come true as they announced earlier this week that they have purchased the Old Edna Township and are elated about the chapter that lies ahead. grow grapes to their optimal maturity, creating unique wines of supreme quality. To learn more about Sextant Wines or Old Edna please visit www.sextantwines.comor www.oldedna.com.